Motorola Solutions announces an agreement to purchase Kodiak Networks, the push-to-talk-over-cellular (PoC) provider that has partnered with AT&T and other carriers to offer carrier-integrated PTT solutions that have complemented or replaced land-mobile-radio (LMR) systems during the past few years. Motorola Solutions today announced an agreement to purchase Kodiak Networks, the push-to-talk-over-cellular (PoC) provider that has partnered with AT&T and other carriers to offer carrier-integrated PTT solutions that have complemented or replaced land-mobile-radio (LMR) systems during the past few years. Terms of the deal for Kodiak—a private company based in Plano, Texas—were not announced, and the acquisition is expected to close “later this year,” according to a Motorola Solutions press release. 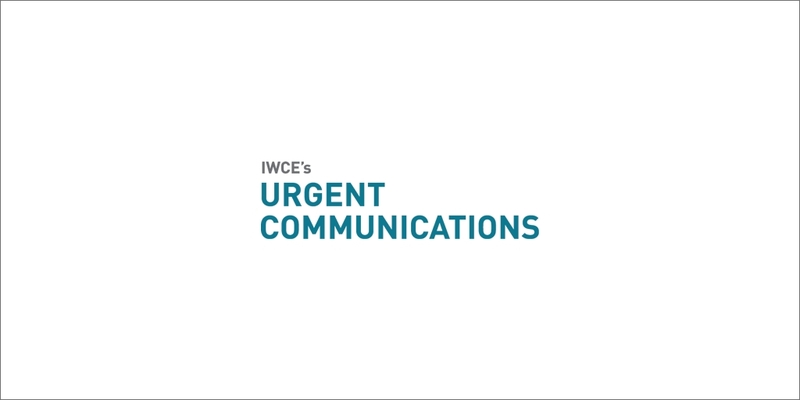 “I don’t think we really know [when the deal will be finalized], but I would say that the second half of the year is a more realistic expectation,” Jeff Spaeth, Motorola’s corporate vice president for systems and software enablement, said during an interview with IWCE’s Urgent Communications. Kodiak has worked with AT&T for years to develop the carrier’s enhanced-push-to-talk technology that has been used by many enterprises and governments, including as an LMR replacement for non-mission-critical employees in high-profile cases in Fairfax County, Va., and the city of Richardson, Texas. AT&T recently won the contract to build and maintain FirstNet’s nationwide public-safety broadband network (NPSBN), but Motorola Solutions does not plan to use the Kodiak push-to-talk solution for first responders, Spaeth said. The company’s WAVE 7000 PoC platform will be used to deliver the “high-performance, public-safety-centric” solution needed for first-responder voice on LTE networks such as FirstNet and the Emergency Services Network (ESN) in the United Kingdom, he said. Motorola Solutions plans to offer its WAVE 5000 and WAVE OnCloud solutions for enterprises wanting the flexibility of an over-the-top PoC solution that can leverage any commercial network, Spaeth said. By acquiring Kodiak, Motorola Solutions will have a solution that will allow it to compete in the market for carrier-integrated commercial PoC solutions, Spaeth said. “The third leg of the (PoC) stool is all about the carrier space, particularly targeting the commercial markets,” he said. “In terms of working with carriers and having a presence and a lot of knowhow in the carrier space—particularly in the Americas—obviously Kodiak brings a lot of that. So this helps us really strengthen our offerings in that third leg of the stool. Motorola Solutions officials “continue to be committed to the world of LMR,” but the purchase of Kodiak should be an indication that Motorola Solution also wants to be a key player in the development of the expanding PoC market, Spaeth said.